Though initially beginning on a slow note, the movie drags for some time till you reach the correct pace.The supporting cast in the movie is a little bit overacting. The characters like Akshay’s mom or the random background characters, they seem like they are lifted from a 60s movie. Based on the story of extraordinary life innovator, Arunachalam Muruganantham, this movie tells about those who need to take things apart to build something better. Muruganantham did this with pads, and also with stigma.Menstrual hygiene still remains an alarming issue in India. Even education and urbanity is unable to prevent it, like a woman attending family rituals with her period. Arunachalam Muruganantham is a social entrepreneur from Coimbatore. He faced enormous opposition and humiliation, in the process. This film definitely forces you to look at the big picture. It tackles the shame which the society insists on imposing on periods. From a woman who is being isolated from society “during that time” to the young girls who remains absent from school during that time, so as to avoid any “embarrassment”, the veteran writer R.Balki and Swadanand Kirkire have really managed to put out exactly what it is. The exchanges which Lakshmi undergoes, in the course of attempting to find an alternative to sanitary pads seems to be a little aggressive. But it definitely brings forth the issues which are a must look after for our society. The film setting changes to Maheshwar, Madhya Pradesh still retaining the core of his courageous story. The statistics of a woman who still uses the percentage of sanitary napkins still remains inadequate. The motive of the movie is such that it seems like Public Service Advertisement which is parading like a commercial film. So that the movie appeals to the lowest denominator, the elements in the movie seem to be a little bit over-explained. This leads to a little bit slow progress of the movie. How awkward a woman feels even today while buying a sanitary pad from a medical store, is worth watching the movie. Balki actually tries to maintain the balance, as it is not very easy to entertain as well as spread awareness and at the same time sensitizing people about the issue. The semi-humorous, as well as the urban outlook in a rural issue, isn’t seamless, as the script gives a zigzag flow. But he redeems himself in the scenes which conveys a lot more through the unspoken words. There’s a moment, when Gayatri realizes Lakshmi’s concern for her, after seeing her brother abusing and neglecting his wife’s health is really heartbreaking. Lakshmi’s reaction to the first consumer’s feedback is really heart touching. The male protagonist Akshay Kumar, who plays the superhero in the film, has really given a remarkable performance in the film. He is ready to go up to any extent to prove his point. From wearing a pink ladies underwear to pad he proves how the actors are willing to push their boundaries, thus embracing the screens characters for the films they are believing. Radhika Apte also gives a wonderful performance thus making her character relatable to the section of the woman, still facing the social harassment. Sonam Kapoor, who plays the role of a privileged South Delhi girl perfectly fits with the role thus leaving a significant mark. 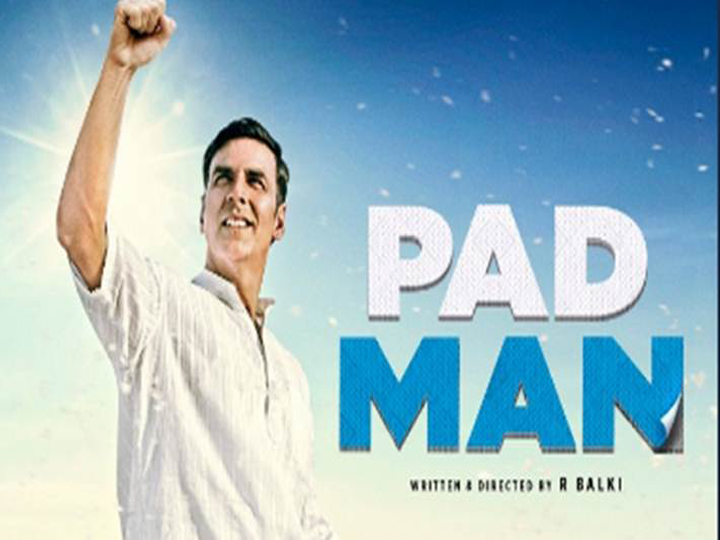 Known for making the films that bridge the age and gender gap, Balki’s Padman is the empowering film thus giving you the wings, despite all odds. The movie frees a woman from all sorts of inhibitions, which will be its biggest success. Lakshmikant Chauhan is really a social hero which every society needs. He never restricts sensitivity to his wife but wants each and every woman to fully live life like a man and not banished to a portion of the house for this short period of time.